Moving to a new installation can be exciting, challenging and stressful. To help make the transition as smooth as possible, learn from the mistakes of others or from your own previous moves. Not having a permanent change of station fund. This is money set aside to help pay for the transition. 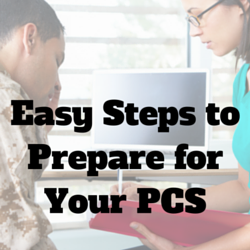 Without a PCS fund, you're likely to rely on credit cards to fill the gap, arriving at your new home in a financial hole. How much do you need? Shoot for $1,000 to $3,000, depending on whether it's just you or your whole family. Buying a new home too fast. If you're not going to be living in base housing, consider renting for at least six months. This can give you time to learn the area and decide where you want to live. You'll also get a better sense of the local real estate market. That way you don't overpay or buy more house than you can afford. Not keeping good records. Save all your paperwork, receipts and the like to get reimbursed for all you're owed. Plus, you'll have records of any unreimbursed expenses, which may be tax-deductible. You'll be happy to have that backup on April 15 so you won't have to re-create history from scratch. Not having property insurance. 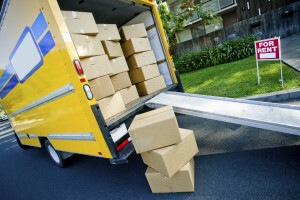 This could protect you if anything gets lost or damaged in the move or while it's kept in storage. Talk to your insurance agent to make sure you've got sufficient coverage. Not learning from those who went before you. Talk to people you meet at your new installation and check out the base housing website for advice on finding everything including schools, dry cleaners and auto mechanics.